I want to remember the way you say “mmmm” when you eat something you really enjoy. I want to remember how much you love the bench at our new table. That you seem to eat much more if we set your plate down and let you eat standing up at your own pace. I want to remember how until I bought you the Mickey Mouse plush toy, you had shown absolutely no interest in stuffed animals. Now you carry it around with you like it’s your best friend. 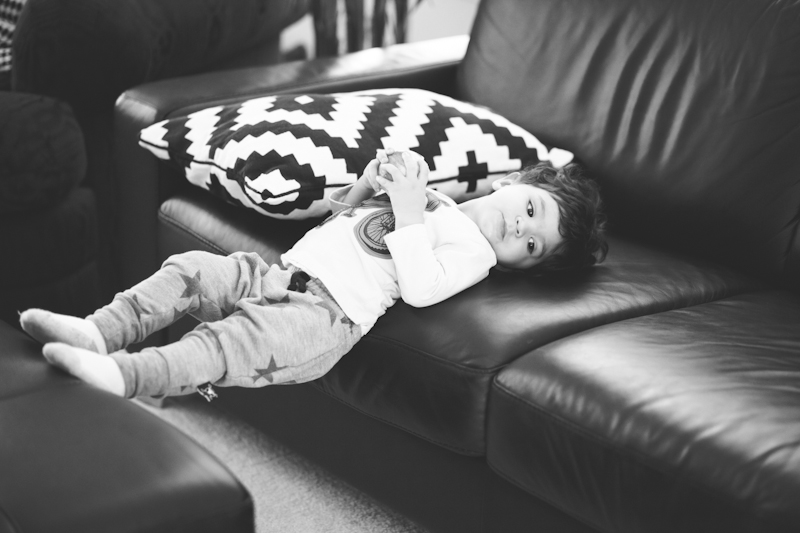 I want to remember the way you run for the door when we say “let’s go on an adventure” or that as soon as we pull out your shoes you sit down on the floor so that we can put them on you. I want to remember the sound of your laughter when I tickle your armpits, and the way you lift up your shirt when we ask where your belly is. You’ve even started lifting our shirts to look for our bellies. I want to remember that you tug on the fridge doors when you want a drink, yet refuse to say “juice” or “baba” no matter how much we encourage it. I want to remember the way you will run across the room towards me when I ask for a kiss. And that you walk around giving Mickey Mouse eskimo kisses. How did you get to be so sweet? I want to remember you pointing at the sky with wonder every time we hear an airplane, your eyes squinting because of the light. I want to remember that you say “nigh-nigh” every time we walk into your room together, even if it’s only for a diaper change or to get dressed. I want to remember that you found a pair of cowboy boots in your closet that were handed down to us and despite them being far too big for you, you are obsessed with wearing them in the house. Clack clack clack is all I hear right now, and then cries of frustration when one falls off and you can’t get it back on. I want to remember that you’re going through a phase now where everything is “MINE!” Oh boy. 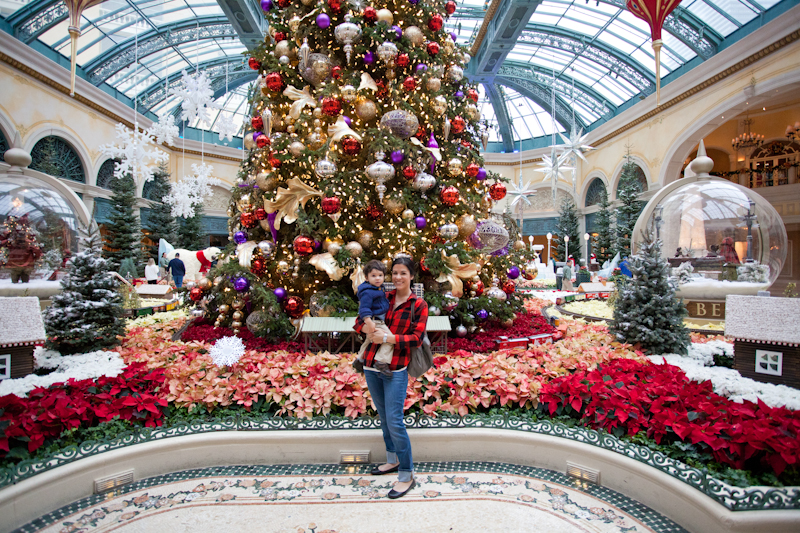 Another yearly tradition in the bag: family photos at Christmas time in the Bellagio atrium. So happy that we have done this for five years now.